As promised, I said I would be back this week to share some recipes. Here are some of my favorite appetizers for Thanksgiving or any other occasion. Spinach dip - this is a crowd pleaser! This is right off the package of the Knorrs Vegetable Soup Mix. I substitute the water chestnuts with sliced almonds and I do not add the chopped green onions. A fun way to serve this is in the middle of a round black bread, which you can pick up in the bakery section of your super market. It's also good with pita chips! Another go-to appetizer recipe is buffalo chicken dip. I start by boiling a package of chicken tenders. Once they have cooked (about 15 minutes) I shred them with two forks and put into a bowl. Next add a block of cream cheese and 1 cup of blue cheese dressing into a sauce pan and begin to let it cook and soften. Once the cream cheese and blue cheese are combined together add 1 cup of Franks Hot Sauce, then add the shredded chicken. Serve this with tostito scoops. 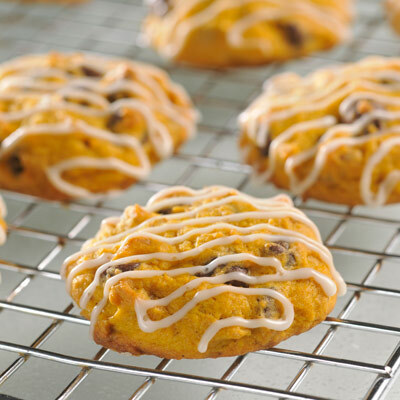 One of my favorite Thanksgiving deserts are these Pumpkin cookies - I don't make mine with the icing, they are delicious without it! What's on your Thanksgiving menu? I can't wait for some good eats! Nice post on thanksgiving planning! Truly, party planning is a big task for me but recently I hosted a family dinner at event space and had a wonderful time doing all arrangements. My sister-in-law helped me a lot with entire planning process. Had a great experience.